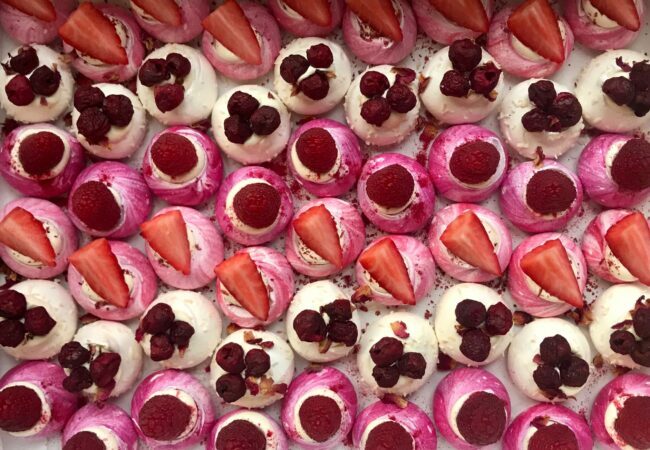 All the pretty colours in 54 bitesize pink, red & white pavlovas. Our mini pavs are crispy on the outside, mallowy in the middle, and the perfect gift. (Dairy free chocolate ganache can be added instead of fresh cream – please specify your preference in the message / enquiry box). 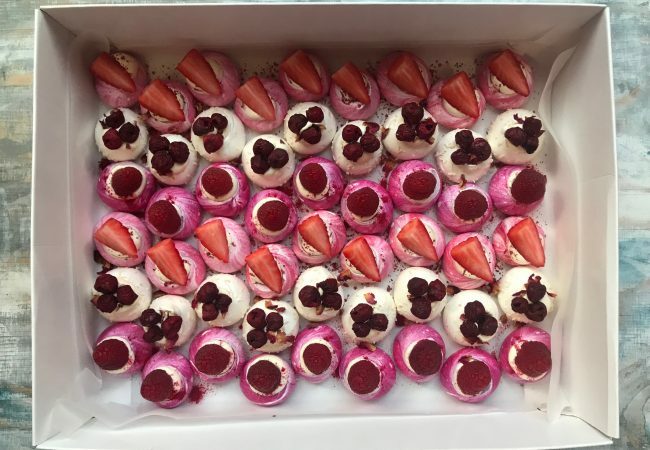 Our mini pavlovas topped with ganache are best enjoyed within 1-2 days. For our fresh cream option, keep in the fridge and consume as soon as possible. Gluten free, free range, all natural colours and flavourings. 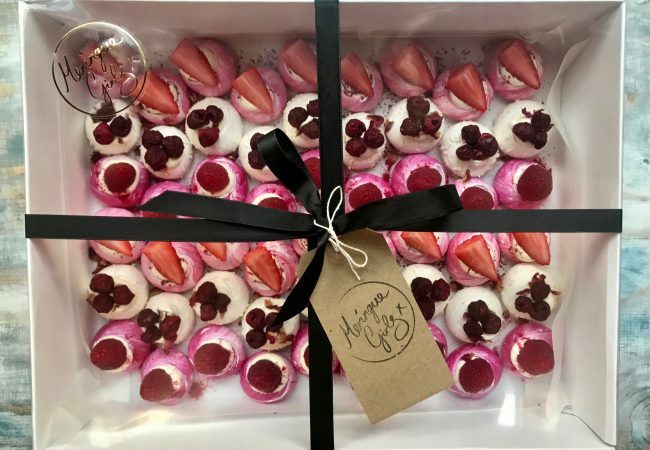 Pink – freeze-dried raspberry, fresh raspberries, White – cherry essence, rose petals, dried sour cherries, Red – vanilla essence, fresh strawberries, strawberry powder.